RECYCLING IS ?. 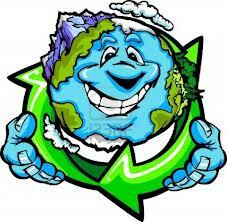 - RECYCLING..
of the original forest area in the U.S. has been cut down. for manufacturers to use toxic chemicals, essential when using virgin materials. use less water and they don't pollute the water nearly as much. lead -- escapes into the air and leaches into groundwater. spew out all kinds of air pollutants, and are often located in urban neighborhoods.